Today we celebrate America’s 242nd birthday. While that might not seem long in the timeline of history, we must remember that at one point our country was referred to as the “American Experiment,” a moniker which reflects the uncertainty surrounding the viability of this new, unprecedented and unproven attempt at self-government. After all, before there was a Declaration of Independence or a Bill of Rights, America was little more than the dream of a motley crew of immigrants who sought freedom to practice their religion and a fair, representative government. How incredible that a Founding Father admitted that the truth of Christianity, not secular humanism or any other religious system, provides the bedrock upon which this great nation has been built! Adams would later say the Constitution “was made only for a moral and religious people” and is, therefore, “wholly inadequate to the government of any other” type of people. America was founded to function only so long as moral and religious people drew from their reservoir of virtue to guide America forward. I believe John Adams was correct. America has a historical legacy undoubtedly established in Christianity. We’ve experienced God’s blessing because from the beginning our Founders sought His wisdom rather than rely on their own, for as Psalm 33:12 declares, “Blessed is the nation whose God is the LORD.” That means people of faith must stand guard to keep this American Experiment alive, to defend the principles that have advanced religious liberty, peace, prosperity and freedom. I pray your family has a wonderful day celebrating America’s birthday. Make sure to take time to reflect on our nation’s founding principles and thank God that his eternal law so clearly influenced the writers of the Declaration of Independence and U.S. Constitution. Ultimately, it is God’s truth, not man’s system of government or laws that we must be rooted in. 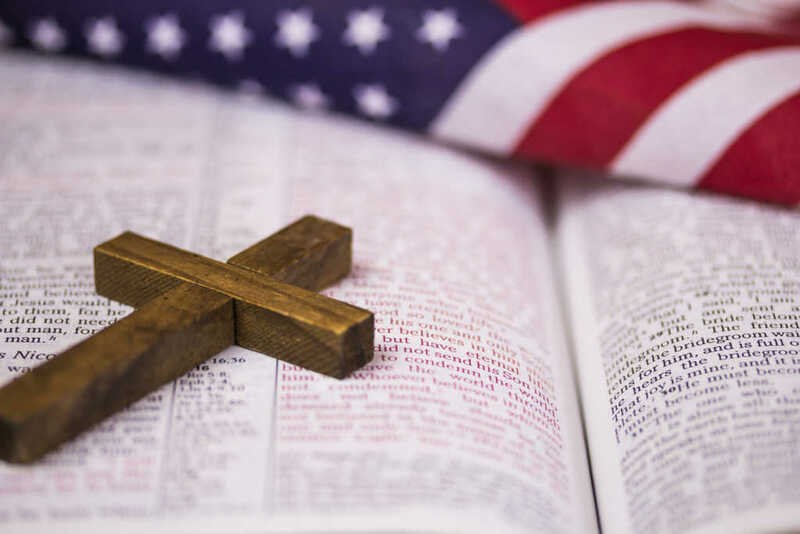 As we celebrate this Independence Day, let the history of our nation’s founding remind us to be vigilant to think, pray and vote according to our Christian faith. Jason Yates is CEO of My Faith Votes, a nonpartisan movement focused on motivating Christians in America to participate in local and domestic elections. By partnering with local churches, pastors and national faith leaders, My Faith Votes mobilizes and resources Christians to lead the conversation on the place of faith in culture and politics. Gov. Mike Huckabee serves as the organization’s honorary national chairman. Website: www.myfaithvotes.org. Twitter: @MyFaithVotes. Facebook: My Faith Votes.